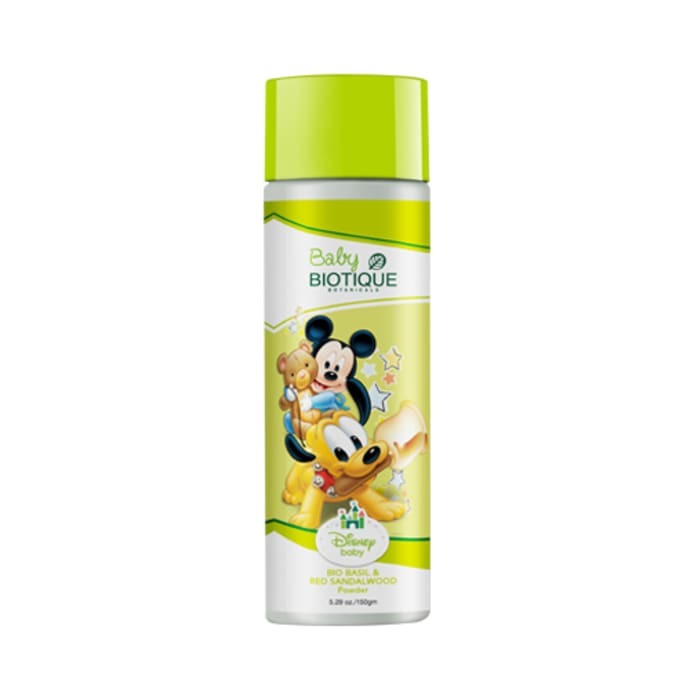 Biotique Disney Mickey Baby Bio Basil and Red Sandalwood Powder is a cooling, caressing powder which is a blend of pure basil, margosa, Indian corn and red sandalwood, to keep baby’s body dry, soft and free from nappy rash. It absorbs wetness and freshens baby’s skin for a silky-soft feeling all over. Biotique Disney Mickey Baby Bio Basil and Red Sandalwood Powder helps to smoothen all over the body even the sensitive areas.